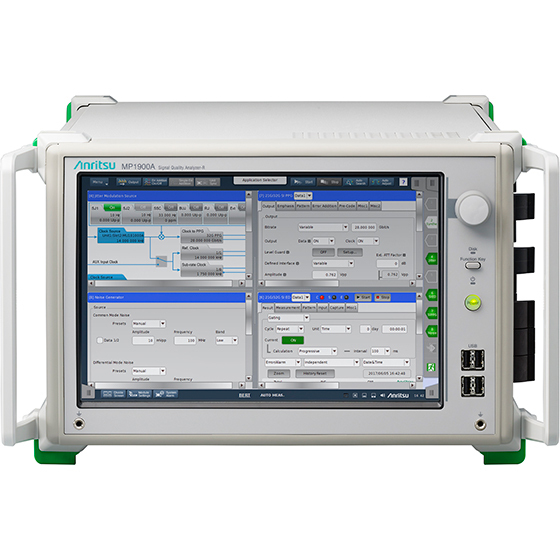 To cope with increasing data traffic caused by the widespread popularity of smartphones and mobile terminals, data-center network interfaces are being transitioned to the faster 200 and 400 GbE standards, while communications-equipment interconnects are adopting PCI Express Gen4 supporting faster speeds of 16 Gbit/s; multi-channel technologies are also being deployed. 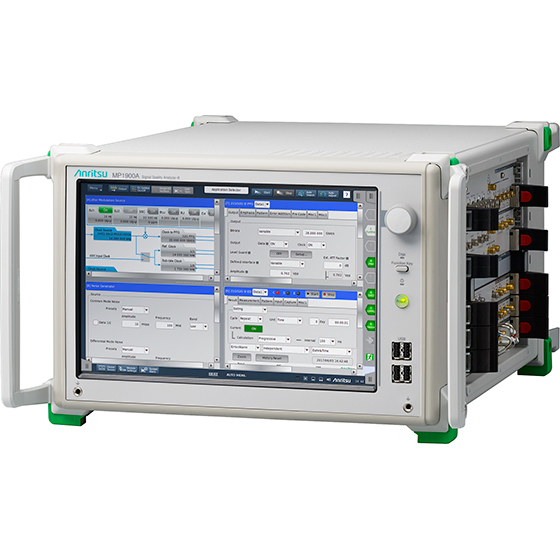 Anritsu’s Signal Quality Analyzer-R MP1900A series is a high-performance BERT with 8 slots for modules, such as a 32 Gbit/s Multi-channel PPG/ED, 32G/64G PAM4 PPG, 32G PAM4 ED and Jitter/Noise Generator, to expand measurement applications supporting signal integrity analyses of ever-faster devices. 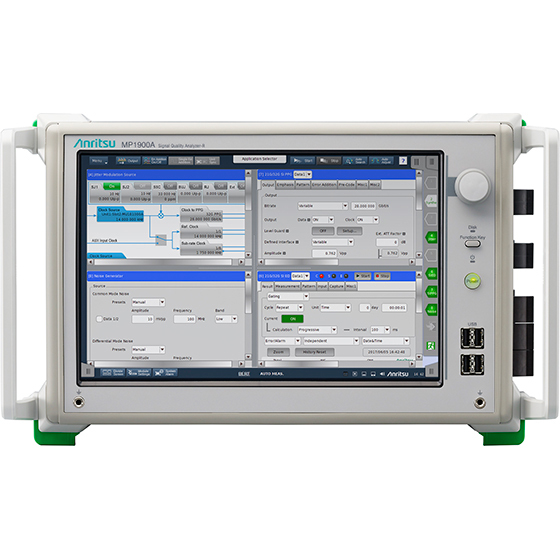 In addition to Physical layer measurement functions for broadband network interfaces, the all-in-one MP1900A supports PCI Express bus, etc., interface measurements. 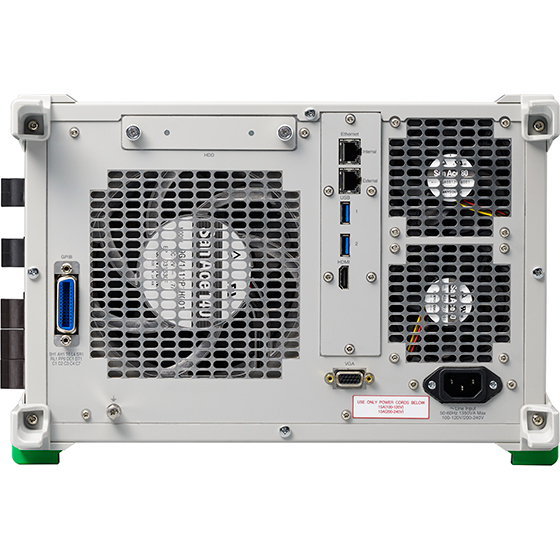 Power Consumption 1350 VA max. PAM4 Pattern SSPRQ, PRBS13Q, PRBS31Q, RS-FEC, etc. PAM4 Pattern SSPRQ, PRBS13Q, PRBS31Q, etc. 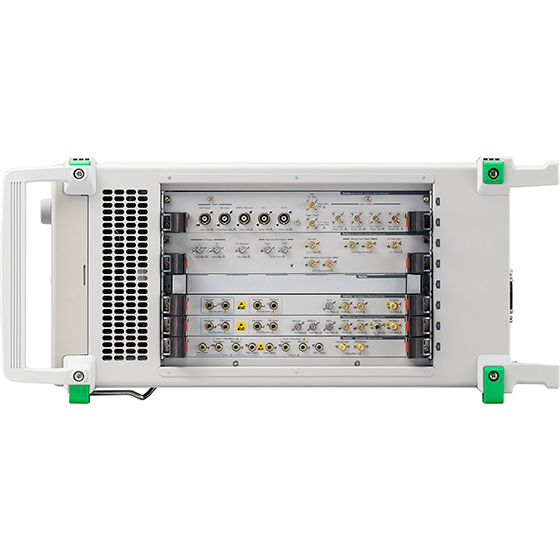 Modules for the MP1800A series (MU181000B, MU181500B, etc.) can be used in the MP1900A. Refer to the MP1900A brochure and selection guide for more details. Refer to the MP1800A brochure for the specifications of modules used by the MP1800A series.